What can I do about summertime athlete’s foot? Athlete’s foot is more of a problem in the summer because of the heat and sweat allowing a good environment for fungus to grow. The over-the-counter anti-fungal medications can frequently work very well to alleviate the symptoms of itching and discomfort. Athlete’s foot is a fungus infection resulting in scaling and itching of the involved skin. It is more common in men, but women can also get it. The over-the-counter anti-fungal medicines are usually very effective; however, sometimes if the areas between the toes are moist and oozing, it is better to use a liquid treatment rather than a cream. An over the counter antiseptic spray, such as one containing benzalkonium chloride, can be useful for the moist infections in between the toes. Do campers need to take special skin care precautions? Absolutely. If you are going camping, your skin will be exposed to unusual conditions. If you want to protect your skin, you should always apply a sunblock such as our Bussell Skin Care Sunblock SPF 30. A hat and sunglasses should also be worn because of sun damage to the eyes that can cause eye conditions such as cataracts. Campers are also exposed to insect bites, poison ivy and poison oak. Insect repellent can sometimes irritate your skin. I advise spraying clothing with insect repellent rather that spraying your skin. Do this outside in a well-ventilated area. If you are allergic to insect bites or stings, I advise bringing with you a dose of epinephrine in the form of an Epi-pen, but you should consult a physician to understand how to use it. Individuals who are allergic to bee stings should always camp with an Epi-pen in their backpacks if they are severely allergic. It is always wise to have an emergency number you can call in case of a severe allergic reaction during your camping trip. Many people are allergic to poison ivy and poison oak to some degree. Poison ivy is generally found on the East coast and poison oak on the West coast. The type of allergic reaction caused by these plants is known as a rhus dermatitis. If you are camping, you should bring along with you a bottle of calamine lotion to soothe skin rashes caused by these plants. Make sure you know how to identify these plants in order to avoid them. I also suggest keeping your lower legs covered with socks and long pants. 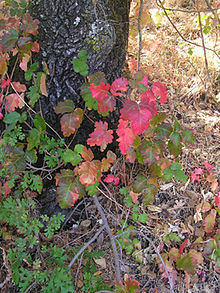 A little known way of getting a severe poison oak or poison ivy rash is from campfires. Be careful not to put wood containing these plants into a campfire as the smoke can cause a very severe allergic reaction as it tends to diffuse all over the skin’s surface. Carrying antihistamines to take for a poison oak/poison ivy reactions or reactions to insect bites can be very helpful. Campers and hikers may also find that they perspire in their shoes. This can lead to an ideal environment for fungus or athlete’s foot to thrive. Changing socks as soon as they feel moist, adding foot powder in the socks and shoes and wearing shoes that breathe can all help reduce the chances of a fungus infection developing during your trip. If you are hiking in an area known to have snakes, try to stay on the hiking path and wear high top shoes or boots. Also bring along a little emergency kit filled with first aid supplies, antibacterial wipes and Tylenol, aspirin or ibuprofen for pain, keeping in mind that aspirin or ibuprofen can cause a bleeding wound to clot less easily. 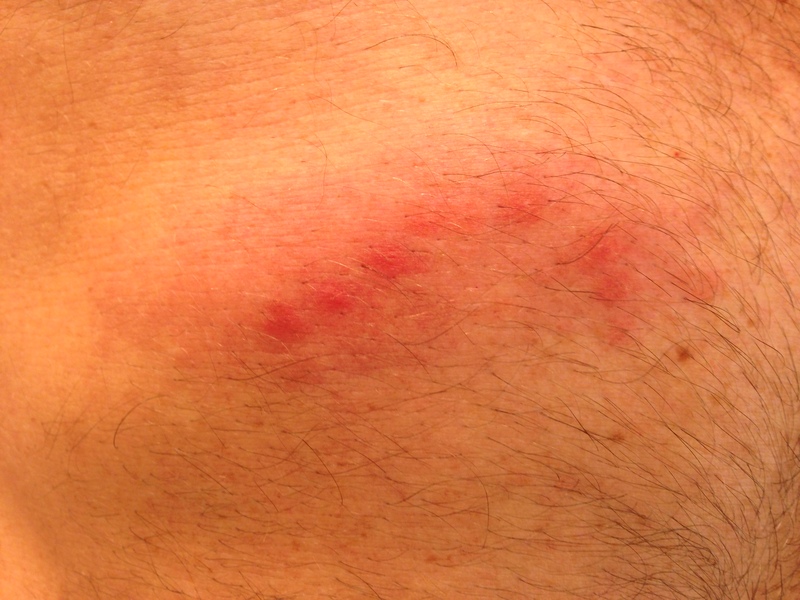 Related post: What should you avoid if you are allergic to poison oak? What can you do for keratosis pilaris? Keratosis pilaris is a condition that produces small, firm bumps on the sides of the upper arms and sometimes the upper legs and buttock area. It is frequently seen in patients with asthma, hay fever, and eczema. In my office, we find that peeling the areas with trichloroacetic acid is very effective in making the involved skin smoother and softer. 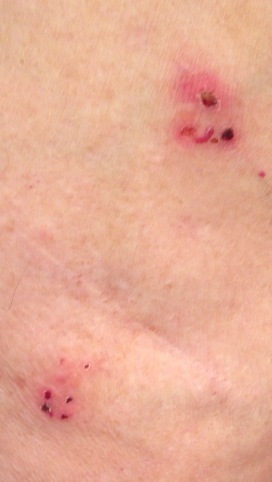 At home, I recommend that my patients use my antibacterial soap to wash these areas. This minimizes the germ count on the skin and additionally helps dry and peel away these plugged follicles. I also recommend the use of my vitamin moisturizer on wet skin in these areas twice a day to smooth and soften. Keratosis pilaris is a chronic, ongoing condition that can be treated but not cured.